John Bell Pipeline stock LVF Gate, Globe and Check valves to complement their existing pipe, fittings and flange products. John Bell Pipeline now holds a comprehensive stock of 1/2 inch – 2 inch LVF Gate, Globe and Check valves in class 150, 300 and 800. 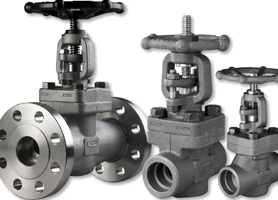 Carbon steel and low temperature carbon steel valves are available in flanged, threaded and socket weld designs in trim 8 & 16 for immediate delivery from stock.